Well, I promised to show you my Chanel coup! I found them randomly in a pile at the amazing vintage store Gatsby in Oslo, stamp in order and everything! I think I payed 15 US dollars for them. I also found a mint green feather hat, OMG I LOVE those hats! Nearly shead a tear I was so happy. Then I found another feather thing at Zara, a mere bargain at 25 dollars! 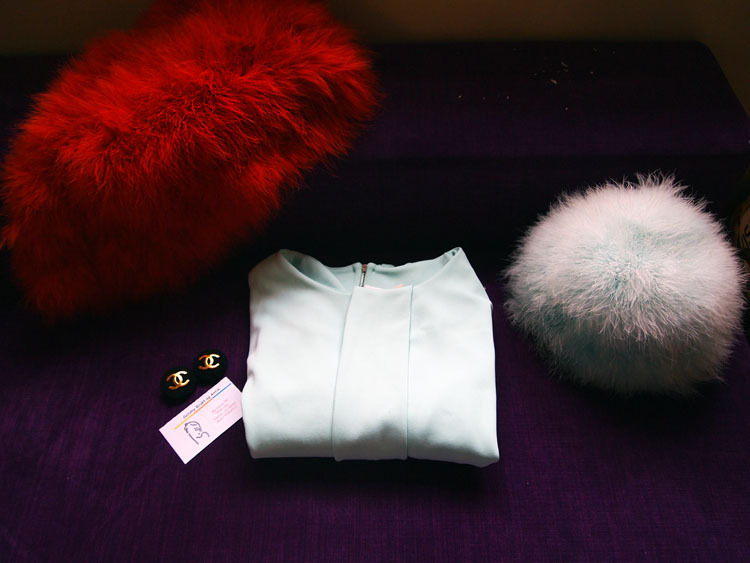 And of course I couldn't pass the mint green dress at HM trend either. Hopeless shopaholic! 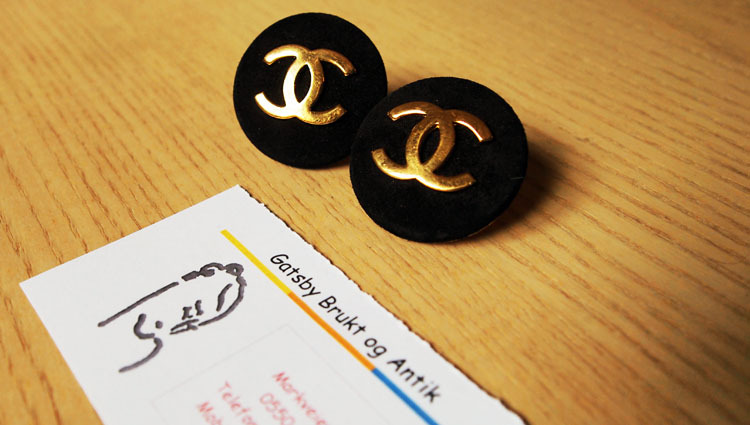 Chanel til under hundrelappen blir aldri feil! Sjeldent funn, vil jeg tro.